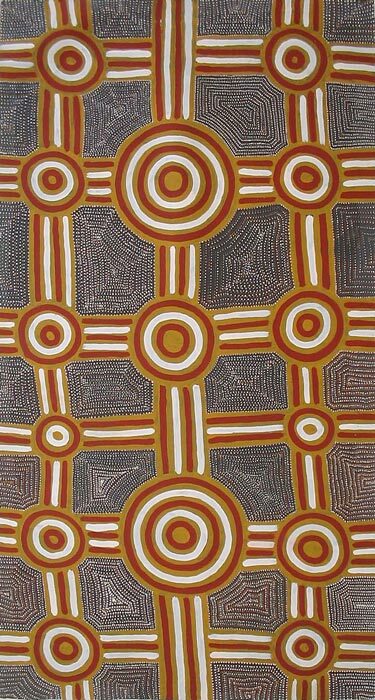 Billy Morton Petyarre was a respected elder in the Ngkwarlerlaneme community, in Utopia, north east of Alice Springs in the Northern Territory. He was married to Mary Morton and Katie Kemarre, and father of Lucky, Ruby, Sarah, Audrey, Hazel, David, Benny, Paul and Valerie Morton. Billy was a skilled artist and wood carver. 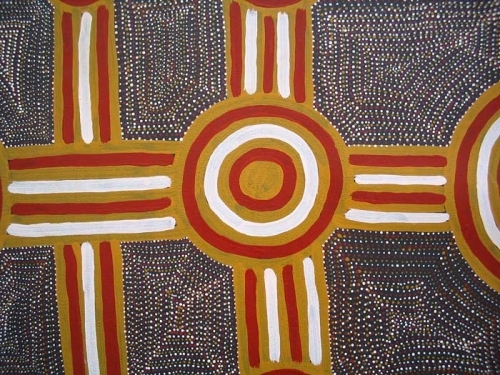 He painted the Yerramp (Honey Ant) story and traditional, secret/scared stories related to men’s ceremonies, and carved human figures and bush animals including owls, birds, lizards and dogs from beanwood. Billy had his first solo exhibition in Sydney in 1991 and his artworks are included in the collections of public art galleries.